Earlier this week I contacted Sprint's customer service, followed by an email to an executive and CEO Dan Hesse himself (or whoever fields his emails). The former told me there was a tower outage in my area, and a fix was incoming the next day (as you've guessed nothing is fixed as of today, 5 days later). The latter, however, kicked things into high gear. I got a couple of callbacks and emails from Dan's office within a few hours, followed by a special department that Sprint calls TRV Escalations picking up my case. This department selectively takes serious complaints that don't get resolved by the first couple of levels of customer service and has the power to send out field engineers, analyze tower information, collect test data from the device, and generally inform whoever is dealing with them about what's going on with the network. These guys seem to know what they're talking about, and I got a feeling they're genuinely interested in getting problems resolved. Ticket counts need to go down and all that jazz - we get it. After conversing with TRV Escalations a few times and sending them some data (speed tests, tower information, PRL, etc), I was able to assemble a picture of what's been going on with the Sprint network in the past year or so, what's going on with it now, and what's going to happen in the future. Some of this information may be common knowledge, some may be new to you, so I will summarize everything I've learned in my favorite bullet point style. When Sprint starting seeing a massive spike and subsequent slowdown of the EV-DO (3G) network last year, upgrades slated for the end of 2010 were scheduled to keep up with capacity demands. These upgrades never happened. The tech quoted me "shortage of rare parts" as the single biggest reason - Sprint had only enough parts to maintain its existing infrastructure and perform repairs on existing towers. The explosion in popularity of Android phones on the Sprint network was the primary reason for network capacity issues (no surprise there). The iPhone launch indeed affected the network as of late and slowed it down even further (which is what I and many other have noticed). Sure, the iPhone may be more efficient at using data, but the amount of people upgrading from feature-phones and switching to Sprint for its unlimited data exceeds the offset of those switching from Android to iPhone. Back to network upgrades - the situation got so bad that the department started getting flooded with trouble tickets. Finally, around May/June of 2011, the parts supply resumed and network upgrades slowly started rolling out. Tower upgrades to deal with EV-DO (3G) traffic are going to pick up towards the end of the year (starting right about now) and well into the next year. Increasing capacity (more bandwidth available to the tower). Moving the power source closer to the transmitter - this should improve signal strength by about 10%, which really isn't much. LTE will start rolling out towards mid-2012 (we already know a much improved LTE-Advanced will also be rolling out in 2013). 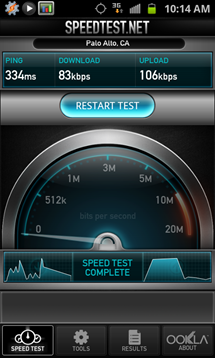 By 2013, LTE should cover *all* current Sprint 3G customers. 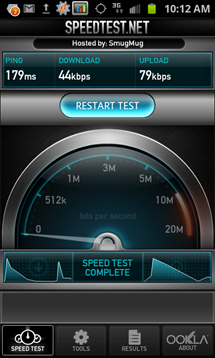 WiMax will stay on till at least the end of 2013 to provide service to existing 4G devices. I'm not sure whether this is part of Network Vision or not (I don't think it is), but there is a plan to repurpose the current iDEN 800MHz network to work with compatible 3G devices. The devices will automatically switch between 800MHz and 1900MHz depending on signal strength, location, etc. Lower frequency allows for better building penetration and covers a larger area, so this should help improve signal in many places. 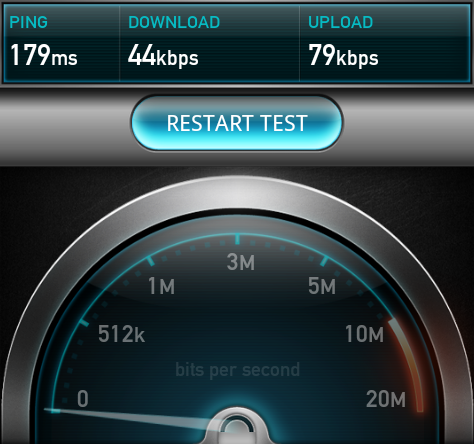 For comparison, WiMax is 2.5GHz and has poor building penetration. It's also why it's much spottier than LTE (don't quote me on this, but I think Sprint is planning to roll out LTE using 1900MHz and 800MHz, while Verizon's operates on 700MHz). I didn't catch an estimate of when this upgrade would be completed. Unsurprisingly, none of the existing WiMax devices will be compatible with the LTE network - a software upgrade wouldn't magically make them compatible - a new radio is needed. In the Bay Area, where I was complaining about ultra-low speeds, Network Vision is not scheduled yet, but emergency capacity upgrades (they called it adding an EV-DO carrier) to a series of towers are planned ahead of that. From what I gathered, most towers in the area operate using 2 voice carriers and 1 EV-DO carrier. Specifically, I gave the tech 3 areas where I had measly speeds and latency; he went into the system, looked at usage levels for those towers, and found that while they were rated to operate normally at 5-8k EV-DO connections, those towers had anywhere from 10k to 18k connections. You can see how that could be problematic. The Now Network is almost bursting at the seams. Apparently, all the towers in the areas that I reported (San Francisco around City College, a stretch from Millbrae to Hayward Park, and Palo Alto to Mountain View) are scheduled to receive capacity upgrades on October 31st, with another week or so for them to become fully operational. These capacity upgrades consist of adding a single additional EV-DO carrier to increase throughput. In my case, there was no point to send a field tech to those locations - the problem was already apparent, my speed test screenshots that I emailed TRV Escalations showed it quite clearly, and upgrades were scheduled. We'll see what happens when and if they're completed - I'm not holding my breath just yet. More tower upgrades are scheduled in the Bay Area in December 2011 and next year in addition to October 2011. 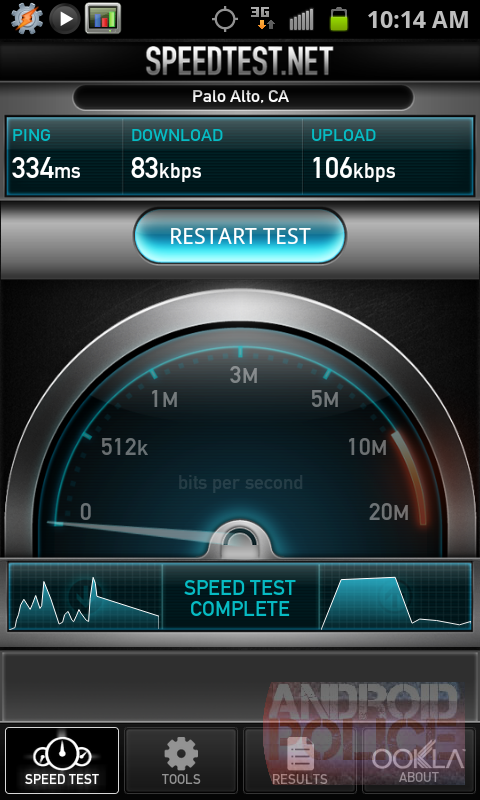 Surprisingly, Sprint uses the SpeedTest.net app to run data speed tests. They don't have an in-house app or servers to do this, so they opt in to use a pretty much de-facto standard. Outside of a few bugs after the LTE network was released, the Speedtest app has been reliable, especially in diagnosing slow connection issues. The techs can't pull up historical data speeds or monitor them on demand using some in-house app (that would help a lot, in my opinion) - they need screenshots of speed tests and debug data off the phones at the time signal is bad. I suggested a system that would show a map of network upgrades for customers to see that something - anything - is being done to fix the network. Just knowing that there's activity would alleviate concerns. For example, there were no 4G updates from Sprint for almost a year, making people unhappy/not confident in the network's future. I realize such a system is my wishful thinking, as Sprint would rather prefer to not disclose it has problems and where they are, so I don't think it'll ever materialize. Late addition: Forgot to mention this earlier. I brought up the fact that every single Android phone I've tried with Sprint doesn't show when 3G goes to 1x (which oftentimes explains slow data). The phone's reception indicator simply continues to show 3G. It was only when I moved to CyanogenMod that I saw 1x show up in the notification bar, and it was there a whole lot more often than I thought. The tech blamed Android and custom OS flavors, but I'm not buying it. I am willing to put money on the fact that Sprint specifically disabled the 1x indicator to make it seem like it had 3G everywhere. 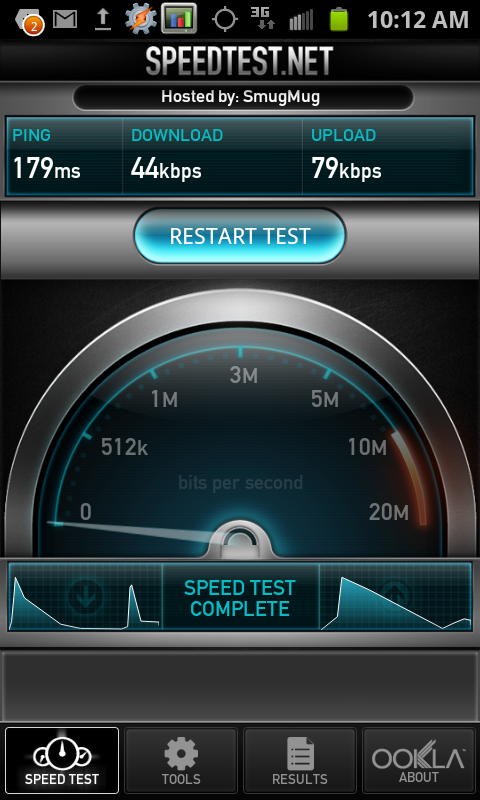 So, as you can tell, the wheels to make the Now Network better and faster are in motion, or so Sprint tells me. After reading this message by another customer who was promised tower upgrades first by the end of July, then end of October, and now end of December, I am not holding my breath too hard. 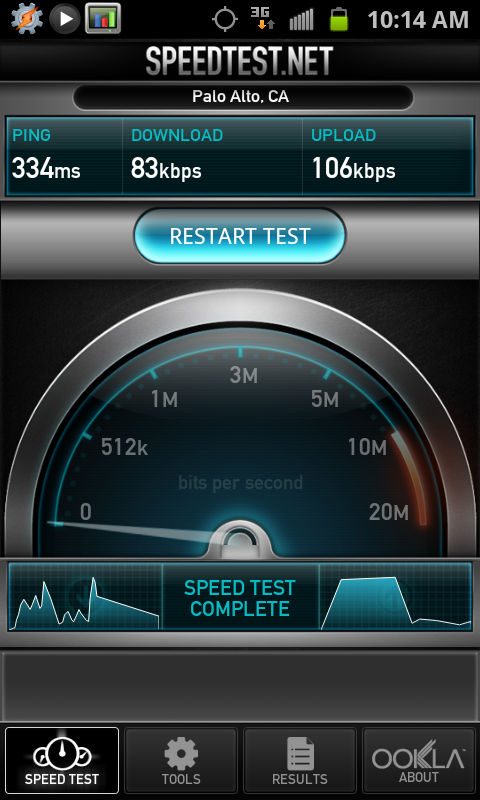 But I do think Sprint will sort this mess out and has already started doing so. I hope my research into the matter has been helpful - don't hesitate to ask any questions or correct me if I got any of the information wrong - it was collected over a period of about a week from numerous phone conversations.